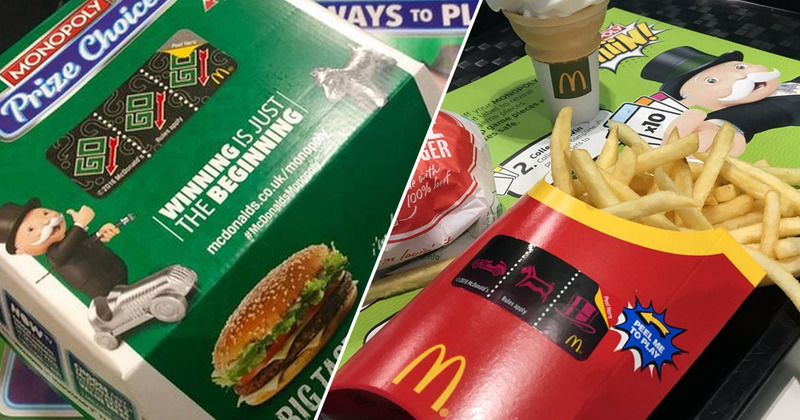 A start date for McDonald’s Monopoly has been confirmed, so you’ll soon have the perfect excuse to grab a Maccies every single day. Because the only thing better than tucking into a Big Mac meal or sinking your teeth into some Chicken Selects is the possibility of winning prizes while you do so. I’m sure most fast food lovers out there will know exactly how to play McDonald’s Monopoly, but it’s been a pretty long year, so I’ll give you a quick refresher. Attached to many of the restaurant’s products are little stickers which you can peel off, anticipation bubbling like the fizz in your Diet Coke, to reveal if you’ve won one of the coveted prizes. Of course, just like the original Monopoly, the stickers are also properties which you can collect in a bid to win one of the grander prizes. If you get your hands on the elusive Mayfair or Park Lane, you can rest assured you’ve done well in life. Up for grabs this year are MINI Cooper cars; Boohoo.com vouchers and City Breaks from loveholiday, as well as cash prizes ranging from £5 to £100,000. Of course, there’ll be millions of instant food and drink prizes to be won too, allowing customers to smugly return to the counter and immediately claim their free treat. As it’s hard to fit a Mini Cooper on one of the restaurant’s food trays, bigger prizes are redeemed by entering the sticker’s code online. Adverts for the game have been popping up in McDonald’s recently, and the company have now confirmed Monopoly will be back later this month, starting March 20. The Big Mac range is back, this time with bacon! But does that mean it’s #StillABigMac or #NotABigMac? Fast food fanatics everywhere are looking forward to the return of the game, and many have taken to social media to share their excitement. McDonald’s Monopoly will run until April 30, 2019, so prepare your stomachs, because I think a lot of fast food is going to be consumed over the next couple of months!